May you receive my good wishes. May you receive my warm thoughts.May you receive my prayers for you.May you know that I wish the best for you.Happy St.Patrick's Day. Luck, Prosperity. Friends & Beer!!! Wishing you a Happy St.Patrick's Day. May Lady Luck shine brightly on you! May you be the luckiest person!Happy St. Patrick's Day. May the world go green with envy, seeing the luck you will have from today. Happy St.Patrick's Day. May you make more of friends, and no enemies.May you make more money,and lose none.May you get blessed on St. Patrick's Day with Good Luck galore. I wish you a Happy St. Patrick's Day. May you have a great day, filled with friends, fun, smiles and beers. I wish you luck, blessings, joy and fun, for today and forever. Happy St. Patrick's Day. 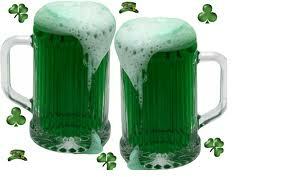 I wish you a day filled with barrels of beers, pots of gold and loads of happiness. Happy St. Patrick's Day. I give you my good wishes, warm thoughts and honest prayers. May you get blessed on this St. Patrick's Day. Enjoy! I wish you a very sweet and Happy St. Patrick's Day. May God bless you with loads of luck, joy and prosperity.